Businesses nowadays have realized the benefit of investing in making mobile sites and engaging a huge number of users to endorse their brands. If you are looking to aim a wider audience then mobile quick to respond website is the best solution for you. 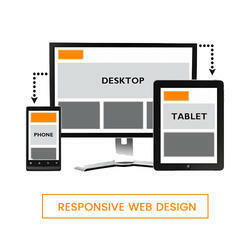 Micraft Solutions delivers quality Responsive web design services. Your website should grab the attention of a casual visitor within 4 seconds, or else you risk losing that customer, who may probably go to a competitor's website. Our innovations coupled with the experience in the industry make us able to deliver high quality websites which grab the attention of casual web users/customers. LassoART Designs offer unique, professional and creative web designing services which include web design, web development, E-commerce solution, CMS website, and graphics. We provide website design and development with all platforms like PHP, Codeigniter, Wordpress, Drupal etc. 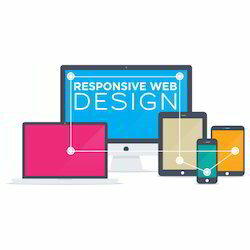 A responsive web is a single website that helps to the device of each unique visitor, whether desktop, Smartphone or tablet. A responsive website dynamically resizes its content and picture for a genre of different display sizes in order to ensure the website is effective and easy to use on any device. A few years back, designing a website was surrounded by the desktops and laptops as there were no more choices or resolutions available to consider for the website. However, the mobile phones, specifically the Smartphones are a key driving force behind this revolutionary concept of Responsive design. Responsive web design which is often abbreviated to RWD is an approach to web design in which a site is crafted to provide an optimal viewing experience, easy reading and navigation with a minimum of resizing, panning and scrolling across a wide range of devices from desktop computer monitors to mobile phones.